I am experimenting with reading poetry on YouTube. Here is the first attempt, a recital of Believe Not in Astrologers. The poem is also posted below the video. 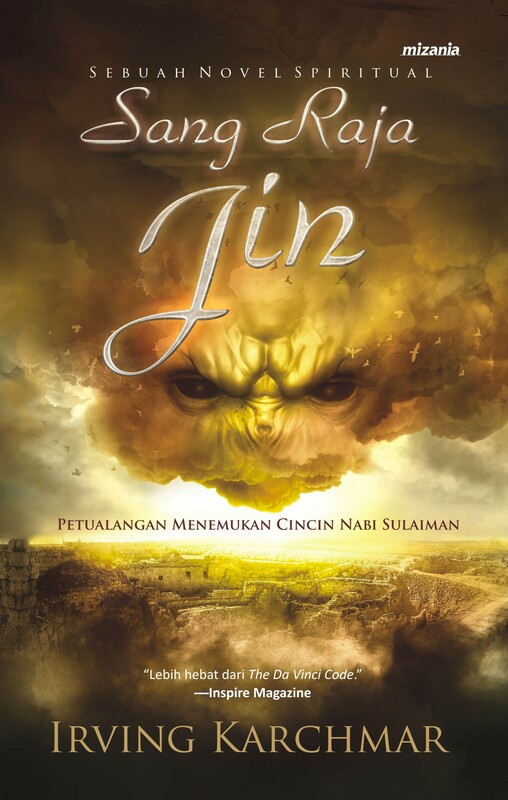 Master of the Jinn in Indonesia – Sang Raja Jin Published! Alhamdulillah! Praise God! Sang Raja Jin, the Indonesian translation of Master of the Jinn, had been republished by Mizan Publishing, one of the largest book publishers in Indonesia. Look for it at your local bookstore, or buy it online HERE. There was once a rich merchant who had 4 wives. He loved the 4th wife the most and adorned her with rich robes and treated her to delicacies. He took great care of her and gave her nothing but the best. He also loved the 3rd wife very much. He’s very proud of her and always wanted to show her off to his friends. However, the merchant is always in great fear that she might run away with some other man. He also loved his 2nd wife. She is a very considerate person, always patient and in fact is the merchant’s confidante. Whenever the merchant faced some problems, he always turned to his 2nd wife and she would always help him out through difficult times. Now the merchant’s 1st wife is a very loyal partner and has made great contributions in maintaining his wealth and business as well as taking care of the household. However, the merchant did not love the first wife and although she loved him deeply, he hardly took notice of her. Thus he asked the 4th wife, “I loved you most, endowed you with the finest clothing and showered great care over you. Now that I’m dying, will you follow me and keep me company?” “No way!” replied the 4th wife and she walked away without another word. The answer cut like a knife right into the merchant’s heart. The sad merchant then asked the 3rd wife, “I have loved you so much for all my life. Now that I’m dying, will you follow me and keep me company?” “No!” replied the 3rd wife. “Life is too good here! I’m going to remarry when you die!” The merchant’s heart sank and turned cold. The 1st wife is in fact our soul, often neglected in our pursuit of material wealth and sensual pleasure. It is actually the only thing that follows us wherever we go. Perhaps it’s a good idea to cultivate and strengthen it now rather than to wait until we’re on our death bed to lament. You are currently browsing the Darvish blog archives for May, 2012.